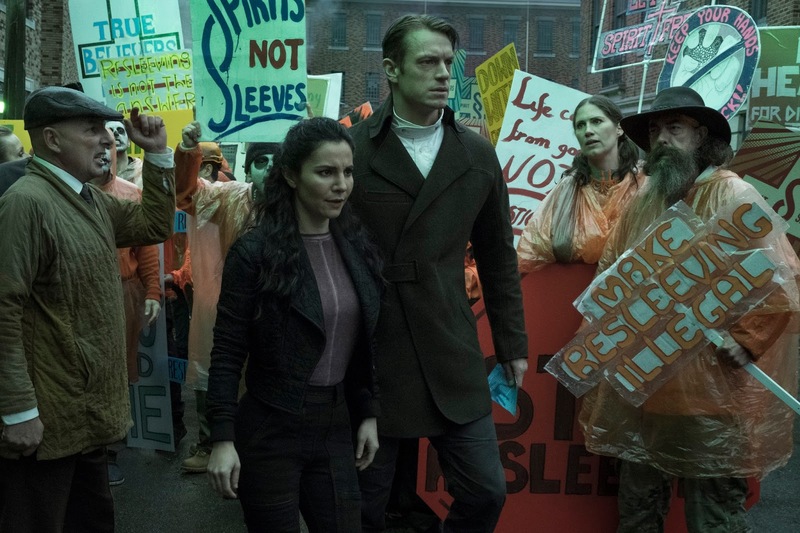 Netflix has unveiled the highly anticipated first trailer for its upcoming cyberpunk series, “Altered Carbon”, starring “Suicide Squad” actor Joel Kinnaman. Based on the 2002 novel of the same name by Richard K. Morgan, the new series is set over 300 years in the future where human minds are digitized and can be downloaded from body to body. The ten-episode series will premiere on Netflix on 2 February 2018, following a lone surviving soldier Takeshi Kovacs (Kinnaman), who is brought back to life in another body centuries after his death to investigate the murder of the wealthiest man on Earth. The series also stars James Purefoy, Renée Elise Goldsberry, Martha Higareda, and others. The novel was followed by two sequels, “Broken Angels” and “Woken Furies”, which means that Netflix has an option to expand the series for future seasons too if all goes well.